Sleep as Android – Soft for Android 2018 – Free download. Sleep as Android – Intelligent alarm clock that identifies sleep. Sleep as Android is an intelligent alarm clock for Android devices that has a stylish design and makes you wake up in the morning in a good mood by detecting your sleep stage and providing you all detailed statistics on your daily sleep later on. The application has been developed by UrbanDroid studio. The program wakes you up only during the REM sleep stage and can show you easy riddles (including math, animals, QR code, NFC, or shaking the device) to make sure that you are have got up. It’s a highly customizable and really simple app. All your alarms—that you can manage, label, and apply notifications to—will be shown in Alarms section. Graphs and stats sections will be displaying detailed statistics on your sleep and alarm efficiency. By the way, you can download many add-ons for this app directly from the program interface. Just choose whatever you need. Mind though that most of them are paid. Apart from all other things, the app features one funny function. It can record the noise you make while sleeping to find out whether you snort or speak at nights. In the app settings you will be able to manage notifications on when you need to go to bed to get enough sleep, sleep phase time, sleep tracking features, and even more. Customization possibilities are many. Simple tasks to make sure you’ve waken up. We believe that the only drawback of the app is that you can only download the trial version for free, which is available just for 14 day. Enough time to try it out though. Most add-ons are also paid. Sleep as Android is a really smart alarm clock app for Android that will help anyone who has problems with waking up in the morning. Wake up only in a good mood! I got an oxygen saturation monitor to work with my fitbit heart rate monitor and CPAP machine and had a real nice record of my sleep with 'sleep as android' for one night. I made some adjustments to the fit of my CPAP mask thinking I would see if that made an improvement. That was over a week ago and I am unable to get the heart rate monitor, CPAP or the oxygen saturation monitor to be listed in the graph for my sleep.I was looking for some feedback and all I've gotten is frustration. I do note that the heart rate monitor and the O2 sat monitor have been found as wearables when I start the monitor at night. I'm back to putting the phone on the bed to be sure I get at least some feedback about my sleep. 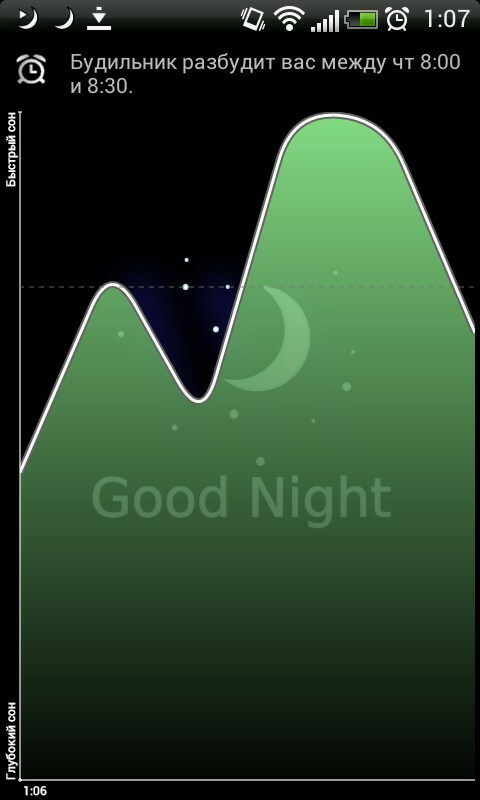 How do I get the 'sleep as Andorid' program to put all monitors on one graph or at least show me a recording of my O2 sat and heart rate somewhere since it does show it has located these signals.